The following information was taken from the University of Illinois’ website. For more information, please visit the University of Illinois website. The University maintains a “Sousa Archives and Center for American Music” http://engage.illinois.edu/entry/825. The “New Sousa Band” recreates the spirit, sound and varied repertoire of the original Sousa Band concerts. The Centennial China Tour 2011 celebrates the 100 year anniversary of Sousa’s world tour. This modern day band will perform in Shanghai, Yinchuan, Chendgu, Kunming and Beiijing between December 27, 2010 and January 5, 2011. My attempts to do a daily blog of our activities was thwarted by a nationwide blockage of certain internet sites: Facebook, Twitter, etc. WordPress was also blocked, so I was unable to access it. Please click on the China Tour page tab at the top for more information about this (a few photos) and a link to a colleague’s blog. This is a private blog and is not a production of Colby College. All sentiments, opinions, etc. are my own and do not necessarily reflect those of Colby College. On January 2, 2008 we left for Kalimpong, India. We traveled with a group of Colby College students and served as mentors (as well as teachers) for their JanPlan course. 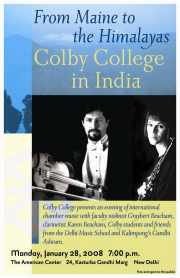 The last day we (along with some Colby and Gandhi Ashram students) performed a concert at the American Embassy in Delhi. For a larger version, click this thumbnail. The majority of our time in India was spent at the Gandhi Ashram School. We tried to keep this site updated with accounts and photos of our experiences and adventures along the way. Now that we’re back, I’ve also added some reflective comments and more photos. Our prior expectations for an exciting trip were definitely met! Here are some other links for the Gandhi Ashram School which might be interesting. 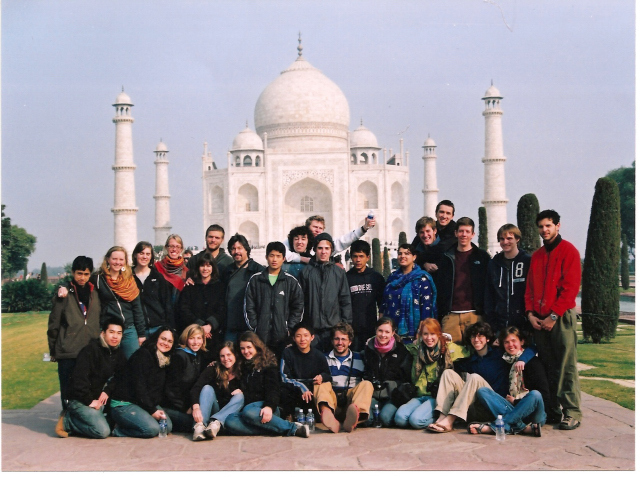 Please click on the following link to read articles posted by the Colby India JanPlan 2008 students, along with some biographies written by some of the Gandhi Ashram students. Before leaving for India, we enjoyed an excellent meal at the house of dear friends (K & M). They suggested that we set up a blog for our trip to India. They recommended WordPress and got us started. Here we are! Thanks to K & M!! Please click on the various tabs above to follow our trail of adventures during our month in India! 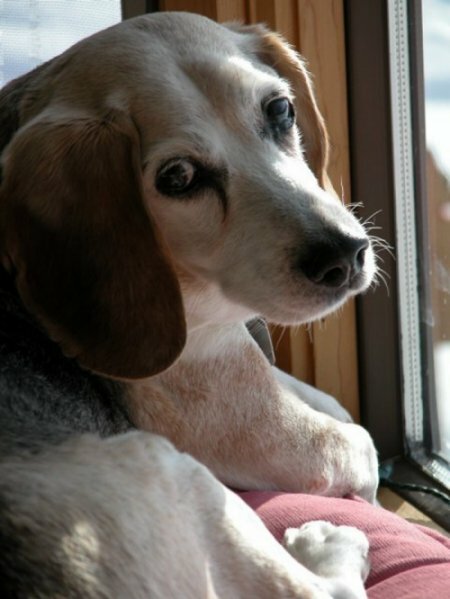 This weblog is named for our dearly departed Beagle. His name was Basil. Basil was our first Beagle. He was a true friend and wonderful companion. His love for us (and ours for him) was unconditional and unflagging. He possessed a depth of character and soul beyond that of many humans. Basil passed away several years ago, but he will be with us always. We miss him very much! The original (one and only) Basildogbone. Please click photos on this page to enlarge! 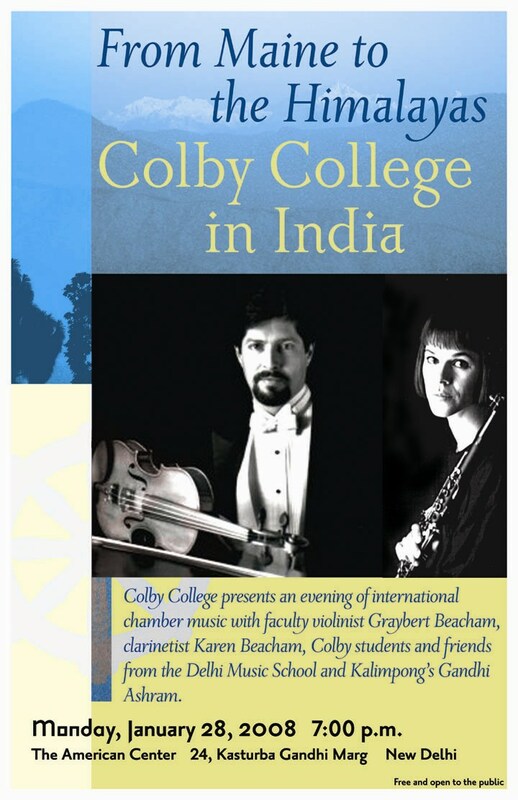 This blog serves a dual purpose as a repository for; a schedule of events, trip travelog, thoughts and photos from two trips–Colby College India JanPlan 2008 and the New Sousa Band China Tour 2011. New Sousa Band Centennial China Tour 2011. I knew Basildogbone and loved him. He was a beagle with a human personality. He was a dear friend and always greeted me with joy and affection. We all loved Basil. He is still in our hearts. I am sure that he and Buster are up there in doggie heaven playing together. Can’t wait to read about your exploits! We made it here safely and are incredibly busy. Will have time to post something this weekend. Hi – there *was* another Basil Dogbone. 🙂 He was my buddy for many years. When we adopted him, he came with that name because his ears sat on top of his head and looked like a Sherlock’s deerstalker hat! Weird, i know. I’ glad i found your site and i’m glad there was another Basil who was so well loved!